I can barely see the sheet these days. What film is that, Chris? Looks like Abel is running the risk of going up in smoke... hope it's not lit. Chris, you've fair made my day with that! I wonder what the 8kSEs are connected to? It's not the Ultra and 857! Raspberry sherbet or fuschia, maybe. 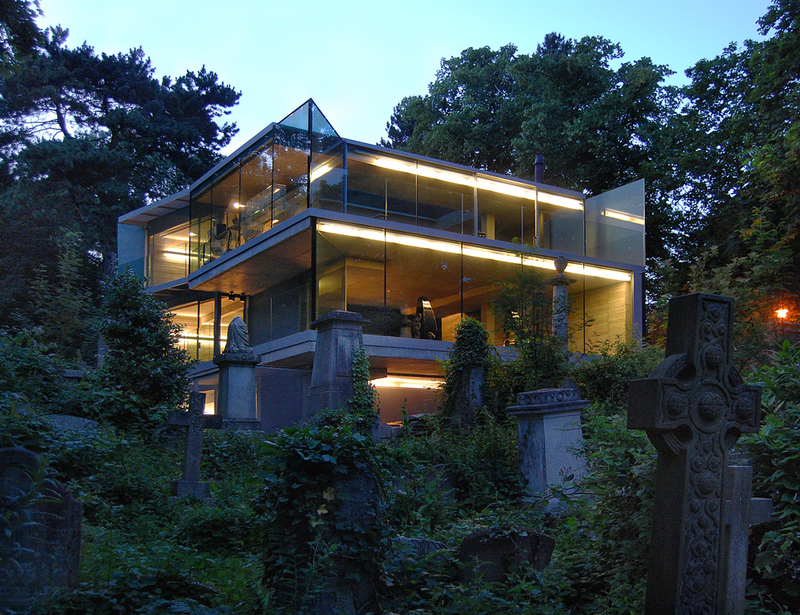 That is the Highgate graveyard house, George Williams I think photographed that and does a fair bit for Meridian. I love his work, mostly car photography. He uses Meridian himself, he has a pair of 5200SE's in McClaren Volcano Orange that look well funky. However the above pictured Volcanic Orange 5200SE now sound wonderful here. Mine are black but I really wanted white. I think the drivers showing clearly is somehow more sculptural. Generated in 0.020 seconds in which 0.006 seconds were spent on a total of 15 queries. Zlib compression disabled.